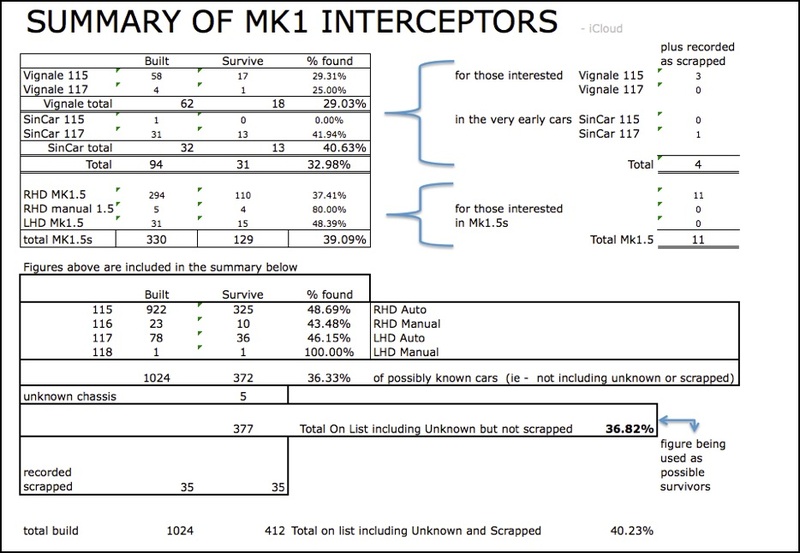 This is the data page to show numbers and numbers of variants of MK1s and where and when cars were last seen. It will be most useful, and help me to keep up-to-date, if owners could confirm their car is still in the condition listed. Just a quick email with the chassis number in the heading and confirmation of condition and ownership. In 2017 I heard about, and/or recorded, 83 cars, in 2018 I recorded 95 and from the panel below you can see how many I have recorded so far this year. I record some from posts on the JOC forum, some from posts on Facebook, some from Sales Adverts and others from email updates. Richard Calver has tighter parameters than I, but, from the above, you can choose your cutoff point to decide the percentage of cars that are current or not. 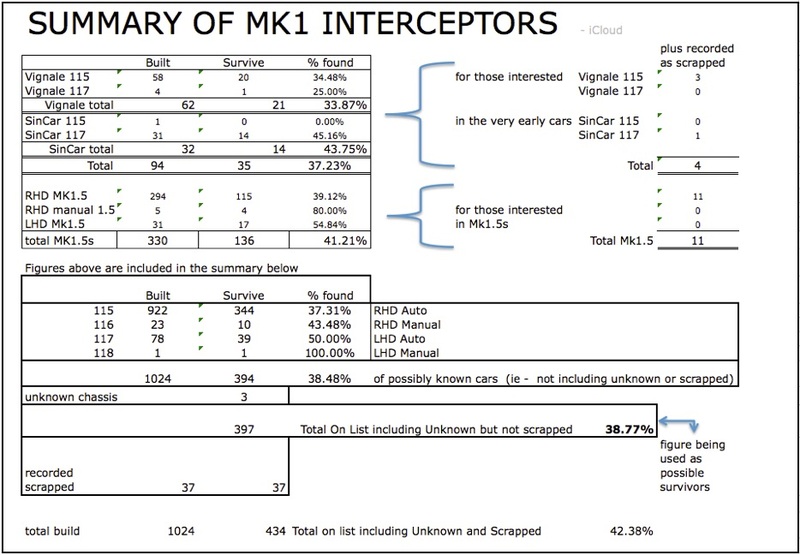 Newly added in the right hand columns are the accumulative totals of all Mk1s. Can anyone confirm that these cars still exist? These are the cars that I have listed as survivors but have no information on since they were first advised to me. 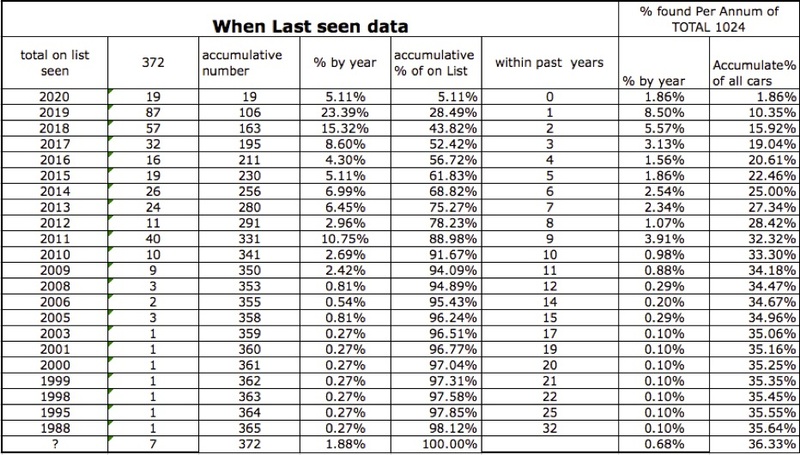 They were probably taken from others lists when I first started the Survivors List but I have had no confirmation that they are still around. 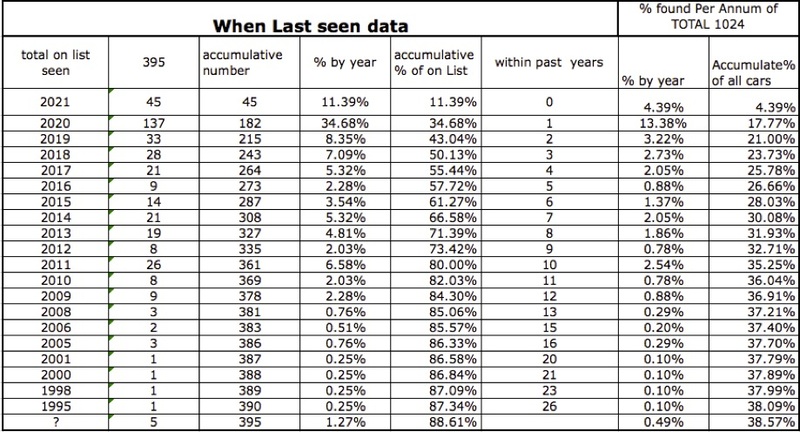 Stoo in Australia has given some information that has reduced or amended the original list. Can you Help? Can you confirm the survivability and/or location of any of the following?